as nothing else can describe it! 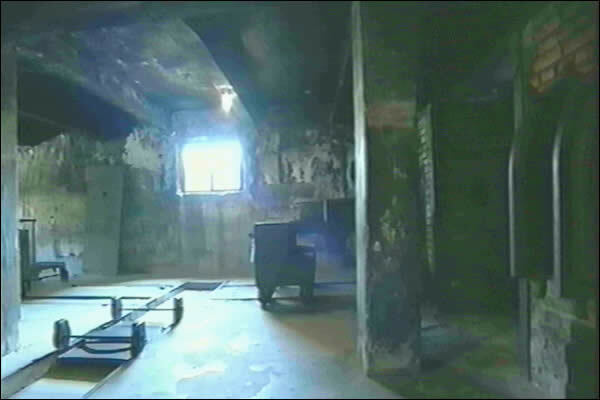 The eerie mechanised oven room of the Auschwitz concentration camp. 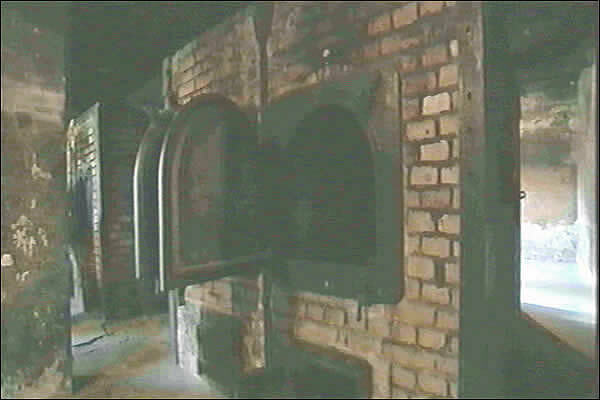 Purpose built dual ovens with rails for the loading cart. 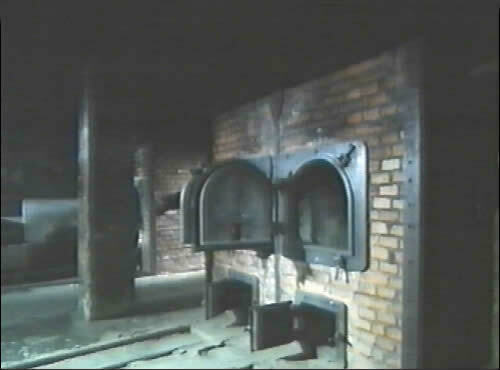 Closeup of oven doors, with further ovens behind. These images are shown to let future generations understand what happens when a megalomaniac gets too much power and a nation gets brain-washed. Someone had to throw the bodies in, or be thrown in themselves. Think about it and decide what you would do, faced with this situation?